Maya Lowe is the girlfriend of American professional golfer Xander Schauffele. Lowe graduated in 2015 from the University of California, San Diego, with a bachelor’s degree in public Health. In 2016, she enrolled for a master’s degree in Health Care Administration/Management at the University of Maryland University College. According to her LinkedIn, Lowe currently serves as Per Diem Center Manager and Full Time Student at Planned Parenthood of the Pacific Southwest in San Diego, California. From December 2017 to July 2018, she served as “Center Manager Flex.” She was mandated to “Provide coverage for either a Center Manager, Patient Flow Coordinator, or clinician scheduler as needed. Create and modify Practice Management Reports. Train in all areas of Center Manager responsibilities. Ensure proficiency on Electronic Medical Records system (basic trouble shooting, triaging technical problems, and providing training). Reconcile financial and inventory sheets. Manage clinic flow and staff productivity.” She served as the patient flow coordinator for the company from December 2016 to December 2017. 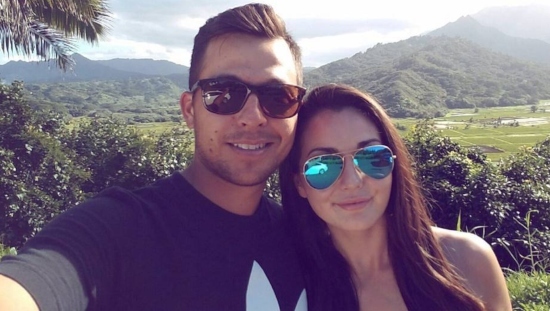 Xander Schauffele has been dating Maya Lowe since 2014. The two met in San Diego, as Schauffele attended San Diego State University and Lowe studied at the University of California, San Diego. Maya Lowe’s Instagram handle is @maya_lowe. The account is set to private. Maya Lowe’s net worth is not on record.